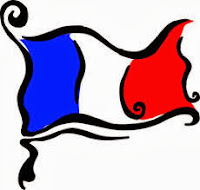 Tomorrow will be the first day of this term for the French Club at the Stoneleigh Library. The free taster session two weeks ago went extremely well and so the real thing all kicks off tomorrow at 4.30pm. "We have a French market in Worcester Park coming every so often, it's now time to bring French language and culture to our little ones...and soon enough they'll be translating it all for mummy and daddy when they go on holiday in France!" The club is opened to all primary children every Friday from 4.30 to 5.30pm at Stoneleigh Library. People can have a look on the Facebook page to see what they already do with the children in the other clubs.